Darwin’s hypothesis on the origins of life led to a catastrophically destructive impact on society and Christian theology. 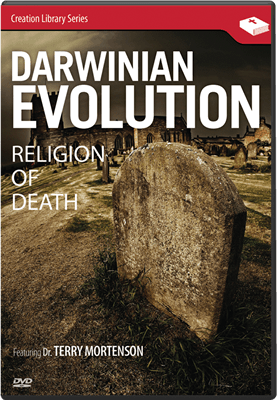 Using quotes from Darwin himself, Dr. Mortenson explains how Darwin “murdered” the Bible’s teaching on death, the character of God, the basis for any moral absolutes of right and wrong, and the reliability and authority of the Bible in the minds of people. Darwin’s hypothesis on the origins of life led to a catastrophically destructive impact on society and Christian theology. Using quotes from Darwin himself, Dr. Terry Mortenson explains how Darwin’s ideas negatively impacted the Bible’s teaching on the origin death, the character of God, the basis for any moral absolutes of right and wrong, and the reliability and authority of the Bible in the minds of people. 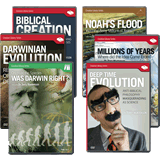 At a time when an increasing number of evangelical pastors and theologians are giving into the secular idea that God used evolution and millions of years to create, Christians need to be armed with the truth powerfully presented in this DVD.